Growing up I lived in a built-up area and our ‘garden’ consisted of a small block paved yard front and back, so as I child I didn’t really have the opportunity to learn much in the way of gardening skills. As I have got older I have tried my hand at some seemingly simple gardening tasks although without much luck – I usually end up killing off my plants within a couple of weeks! Despite this I am willing to try and improve in any way I can as really don’t want my lack of skill to rub off on the children – luckily for us Grandma and Grandad are keen gardener’s and Leo loves to be their apprentice when he can! Since I started blogging I have been following the wonderful Lisa’s Notebook who regularly posts seasonal gardening posts full of tips and ideas which I hungrily devour hoping to learn a thing or two! It was on Lisa’s blog that I first learned about Mud & Bloom, a seasonal nature and craft subscription for kids aged 3-8yrs. 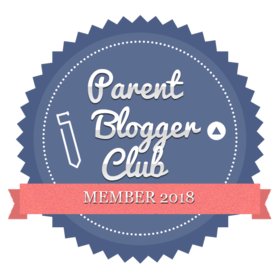 When Lisa told me that owner Anja was on the lookout for bloggers to trial their boxes I didn’t hesitate to drop her a line, knowing both me and Leo would be able to learn so much from doing so. Mud & Bloom was created by Mum of three, Anja who despite living in a city has a real passion for gardening, craft and nature. Having quit her full-time job to embark on a RHS Horticulture Course she originally planned to set up her own gardening business, however her plans changed! Having been inundated with questions from Parents wanting help to get their children involved with nature after reading posts written for her personal blog, she took the decision to create Mud & Bloom when she was unable to find anything similar on the market. The boxes are all created by qualified teachers and support the National Curriculum, so you can be sure that kids will be learning whilst having fun. So onto the box itself….. like many other subscription boxes, the Mud & Bloom box is a handy letterbox size and arrived addressed to Leo – always a winner as he loves receiving post! Each box contains two seasonal activities – one gardening and one craft – as well as instructions, games and quizzes. Before we even started on the activities in our box we decided to go for a nature walk to gather resources needed for the craft part. We managed to gather sticks, leaves and a few flowers before Leo was desperate to return home and get started, so apologies for the lack of diversity in his floral choices– he even picked a dandelion which I’m not even sure can be classed as a flower! Back home we decided to create our nature loom first which needed some assistance from Mummy to put together before the wool could be wound around and the flowers added. Leo spent ages winding his wool round, taking his time to make sure it was right and despite taking a few times round to get the hang of it was a pro by the time he was finished and thrilled with how it turned out. Next up was the crown and mask which he created using the items left over from his loom. Like many kids he loves a spot of gluing and sticking, and this was no different – although he wasn’t too happy having to wait for it to dry before we could add the elastic! We then turned our attention to planting the pumpkin and sweet pea seeds. Before we could do anything, we had to grow the organic seed pellets in warm water – Leo was amazed by the growing pellets and sat watching them the whole time! They were then added to the pots and the seeds pressed in. The box also contained lolly sticks for labelling the pots so as not to mix them up. We loved planting them together but let’s just say kids don’t have much patience! I lost count of the amount of times I was asked if they has grown yet in the first few hours alone! Despite looking after them and watering them as instructed only one of our four pots grew. Fear not though, we still have seeds left so will be giving it another shot to hopefully get it right! Finally, we completed the minibeast hunt and quiz. Leo loves learning new facts and he was amazed to learn that a slug has 27,000 especially as it must only have a small mouth!!! We managed to spot most of the creatures on our hunt sheet – I did chuckle when we discovered hundreds of woodlice under a stone in the garden sending Leo running away shrieking! He did come back and enjoy watching them after the initial shock. Leo and I really loved every part of the Mud & Bloom box! It was fantastic to get out and hands-on with nature together, having fun and learning too. On a personal note I’m thrilled I managed to grow, and keep alive, at least one plant and am determined to grow some pumpkins with round two – watch this space! The boxes are great value at only £7.99 per month inclusive of P&P, in my opinion much better value than a magazine that costs anywhere up to £5 that has limited usage before being discarded. With the Mud & Bloom box you get to watch what you have planted grow plus learn valuable information about nature too! They are perfectly pitched at their target age group and heaps of fun, what more could you ask for! Fancy trying Mud & Bloom with your little one? Visit the Mud & Bloom website for subscription details and make sure you use our exclusive discount code FRASERSFUNHOUSE to receive 20% off your first box (Valid until 24th June). Boxes can be skipped or cancelled at any time. We were gifted a subscription box in return for an honest review. All thoughts and opinions are our own. Oops I’ll give them a bit longer ! Seems like such a good value for the amount of things you get/get to do in the box. Lovely idea and lovely post!